The Hornets have the Wizards number this year. The third time isn’t a charm as the Wizards get blown out by the Hornets Friday night 122-105, losing to Charlotte for the third time this season. Bradley Beal scored a game-high 33 points and Otto Porter added 16 but it wouldn’t be enough for a Washington team that found itself in a double-digit hole for most of the contest. After a big win in Cleveland just the night before, this one had ‘trap game’ written all over it. Washington came out sluggish on defense and careless with the basketball committing six turnovers in the opening period while also giving up 36 points to a Charlotte team who struggles to score on the road. Bradley Beal stole an inbounds pass with just one second remaining in the half and knocked down a three-pointer as time expired to trim the deficit to 12 at halftime 67-55 as the Wizards showed signs of life. The Wizards were able to cut the lead to six, 75-69 in the third quarter on the heels of a 9-0 run. But Charlotte answered Washington’s counterpunch as the Hornets lead quickly ballooned back to double figures and they wouldn’t look back. After committing just 10 turnovers against the Cavs a night before, Washington eclipsed that number by halftime tonight with 11 turnovers and 14 for the game. Too many lazy cross-court passes ended up with live ball turnovers and easy transition opportunities for the Hornets. Charlotte made Washington pay for their mistakes as they scored 26 points off Washington’s 11 first-half turnovers. Those lazy live ball passes resulted in easy layups at the rim for the Hornets as well as wide open three-pointers in transition. Washington did clean up their act in the second half as they committed just three turnovers after halftime, but the damage had already been done. Chalk it up to tired legs, a hangover from the Cleveland game, or whatever narrative you want to paint; Washington’s defense was downright awful this evening. Charlotte, a team that hung 77 points on the Wizards in the first half the last time the last time they played, weren’t far off tonight as they had 67 points tonight at halftime. The Wizards weren’t communicating on defense evidenced as players got caught in-between switches and defensive rotations. Washington did a poor job defending the three-point line and Charlotte made them pay knocking down 17 three-pointers this evening on 39 attempts (44 percent). The Wizards were a step slow on the defensive end the entire evening and just like the previous contest, the result was a blowout loss against another sub .500 team. 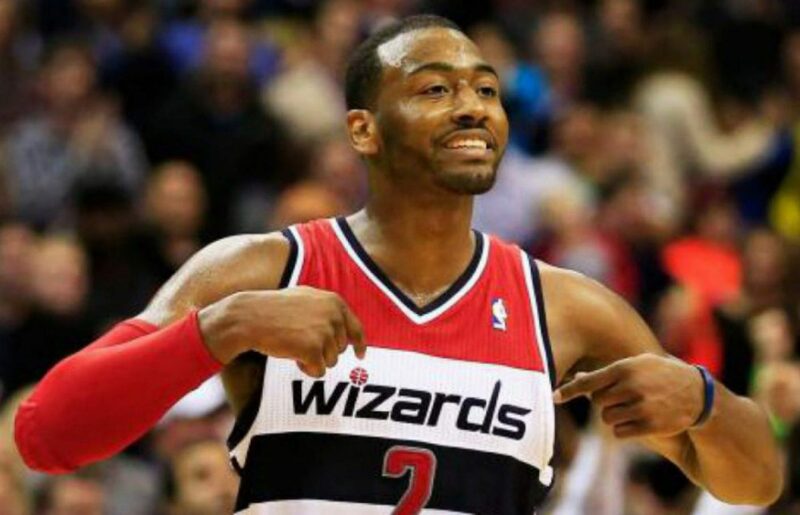 Up Next: Washington’s hell week begins on Sunday evening with a home date against the red-hot Philadelphia 76ers.